Water in the basement is not something any homeowner wants to deal with, but it's a must. On this site, you will be able to discover the reasons why you have a wet basement to begin with, and you can find out some information about the various ways in which water is able to get into your home. Additionally, you will be able to learn about some quick fixes for various basement-related problems that you can try on your own. If the simple fixes do not work to keep the moisture out, then you are going to need the help of a professional waterproofer. As a homeowner, you must understand the importance of preventing moisture problems from happening under your home. When water gets inside, it has nowhere to go if you don't have the right waterproofing systems in place, and this can lead to expensive damage. Water here can cause wooden support beams, floor joists, staircases, banisters and anything else made of wood to rot, warp, and decay. When this happens, you will experience problems with the structural integrity of your home, and all the rotting wood can be inviting to unwanted pests, such as termites. Additionally, water under a home can lead to the growth of harmful mold or mildew. It's been proven that this dangerous fungus can cause a variety of health problems in individuals of all ages. It can cause: headaches, cold/flu-like symptoms, skin rashes, eye irritation, allergies, fatigue, asthma attacks, bronchitis, respiratory problems, and other serious medical conditions. 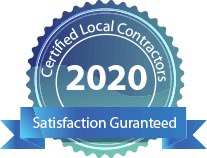 From our site, you will be able to enter your zip code and find a local waterproofing contractor doing business in your area. All of our waterproofers are trained, knowledgeable, and they have the experience, tools, and products needed to take care of the leaks below your home once and for all. They will be able to provide you with a FREE estimate and inspection of your basement.